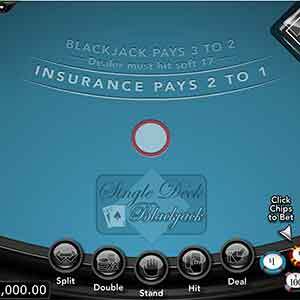 On this page we're going to list a bunch of free blackjack games you can try without any risk. 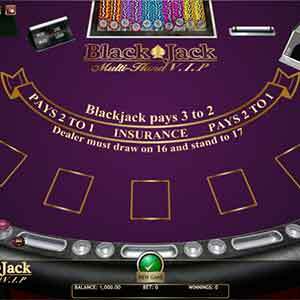 Most of these simulate the actual blackjack variations you can try at online casinos so you can practice as much as like before attempting to play for real money. This is a good place to practice basic blackjack strategy too but be wary that when it comes to playing for real money online, you're not going to be able to card count. You'll see from these free games that no matter which blackjack variation you play, the frequency of shuffling is too high for card counting to be applicable. Unfortunately there are no free live dealer blackjack games. Probably due to the cost for a casino to setup a live studio to stream blackjack for free really isn't worth it for them. Here is a free version of the RNG blackjack from Bovada that you can try out if you are ever thinking of playing for real money there. The best thing about it is it's html based so it will work on your mobile unlike most of the other free casino games that are flash based. These blackjack games below are from various casinos however they are flash based so they probably won't load if you're using a mobile device. If you're on a mobile device then it's best to try the Bovada game above instead. 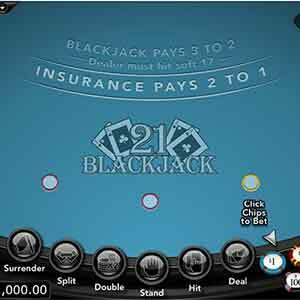 21 Burn is a blackjack variation created by BetSoft which has an interesting twist that let's you burn your second card for a new one. However in order to burn your second card, you must make a "Burn Wager" which is half of your placed bet, so it turns out not to be such a great option really. As mentioned by the Wizard himself, this burn mechanic is actually a detriment to your odds of winning but an interesting one nonetheless to try out for fun. 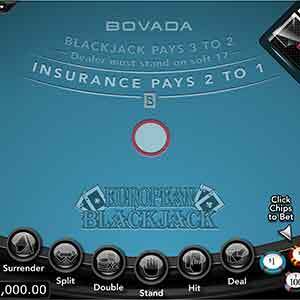 Provided by SoftSwiss and Playtech, Blackjack Surrender is one of the rare casino variations that offer the surrender option. To surrender, it must be your very first choice of action and can be advantageous to the player. This is the late surrender option which means you can opt to forfeit half of your bet but only after the dealer has checked for blackjack. Played correctly, the late surrender option can add to the player's edge by 0.1% which is not much but certainly better than variations that don't offer the surrender option at all. 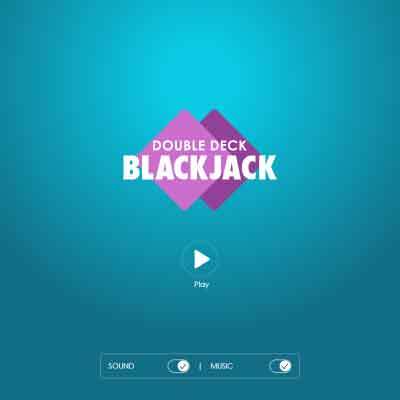 This is a quirky variation of Blackjack by Playtech which makes you play 2 hands (left and right) at once. This introduces a new option called "Switch" where you can swap 1 card from each hand to the other, allowing you to create some interesting situations. Definitely one I recommend to try out, this variation provides a different strategic element compared to regular blackjack. 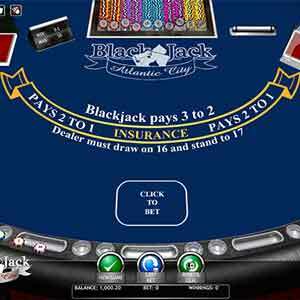 This blackjack variation from software provider Bodog introduces some new rules to make things more interesting from the standard blackjack. As the title name suggests, you can choose to "Zap" which can be done on any hand that has a value range between 15-17. What this does is exchange your existing hand with the next two cards in the Shoe which can be advantageous at times. However it also introduces another rule where if the dealer has 22 and busts, all player hands that are standing is counted as a push. While I would advise playing this variation for real money, it's a fun one to play around with for free here. While we've highlighted some of the more quirky blackjack games with different rules above, here is also a list of other games you can find at casinos which are closer to the regular blackjack you may be used to.